Everyone’s got a couple loose screws: What’s life without a little zest? The world is a better place when we’re relaxed – when we allow the walls to fall so we can be our true, unfiltered selves. 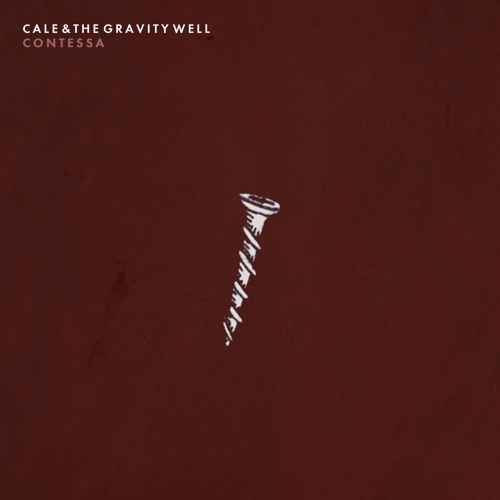 Cale and the Gravity Well’s “Contessa” is a natural, free-flowing burst of joyful indie rock basking in the moment. Atwood Magazine is proud to be premiering “Contessa,” the second single off Cale and the Gravity Well’s upcoming EP Creation Myths (anticipated 11/17/2017 via Made In The Shade Records). The Brooklyn-based indie rock band led by songwriter Cale Bonderman, Cale and the Gravity Well’s edgy bounce and melodic drive are reminiscent of such contemporary acts as Young the Giant and Foals. Working with producer Jim Fairchild (formerly Modest Mouse) and engineer Mike Cresswell (Sun Kill Moon, ALO), Cale and the Gravity Well have managed to capture the magical dusk between light and dark: “Contessa” offers a piece of that lighter side with a delightful slice of warm, no-strings-attached emotion. Bonderman may be pleasantly surprised to know that “Contessa” does ring with a powerful truth, whether or not he intended it. Life is too precious to be squandered over minutiae; one’s time is better spent enjoying today than worrying about tomorrow. “Contessa” is a testament to that universal desire to find balance between now and later: No matter what life throws our way, we know we’ll be okay. Enjoy Cale and the Gravity Well’s latest single, exclusively on Atwood Magazine!